“Sometimes it feels like I can’t be heard unless I’m shouting,” opines Mariam Abdel-Razek (Trinity, Second Year). 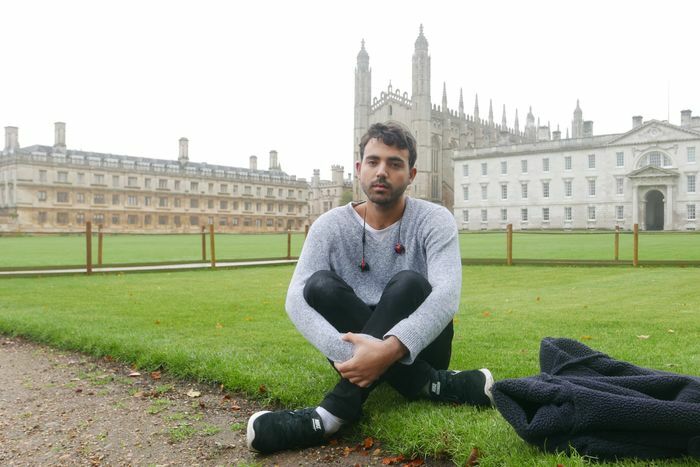 Being Egyptian-British, Mariam’s experience in Cambridge has been defined by what she regards as a responsibility that many BME (black and minority ethnicity) students never asked for– the burdens of representation whether in the academic or theatrical spheres. “I didn’t realise how big of an impact my choice of college would have on my academic life,” remarks Mariam. Her first encounter with Trinity was through a literary essay competition for Year 12 students where she responded to the question “What does it mean to recognise oneself in a book?” During the competition’s prize ceremony, it became apparent that Mariam was the only entrant who answered in a postcolonial vein– the competition’s predominantly white participants instead submitted essays on literature and art. Mariam’s love for literatures concerned with questions of race, discrimination and the legacies of colonialism emerged from a close study of African American literature in sixth form, as she pored over the works of Toni Morrison, Maya Angelou, and Alice Walker. She remembers Walker’s The Color Purple to be a transformative experience in learning new ways of examining race and gender in literature. The discovery of such texts that provided a new language of articulating her experience as a woman of colour growing up in contemporary Britain, particularly as she continues to grapple with reconciling the two parts of her identity– being Egyptian and British. Mariam’s parents migrated from Egypt to work as journalists in the United Kingdom with a particular interest in colonial narratives. She remarks that she had the privilege of attending a private school and living in an affluent area. While this served to shield her from questions surrounding race and ethnicity growing up, it was inevitable that she would have to grapple with the realisation that she is not white. This was furthered by her learning about Britain’s history of oppression and colonialism in Egypt, which she was first exposed to in her final two years of sixth-form. She remains indignant at the fact that the violence of the British Empire is not part of compulsory teaching for British schoolchildren, standing to ignore Britain’s historical role in colonial injustice. “Part of ‘realising I wasn’t white’, socially speaking, was that I realised speaking out about these things was making me ‘too political’, when actually, it wasn’t. It was just my life,” she remarks. Having grown up shuttling between London during the school year and Cairo during the holidays, Mariam’s identity was defined as both British and Egyptian, leading to her fluency in English and in Arabic. Yet, there remains a dearth of Egyptian-British writers who have been able to articulate this experience of ‘inbetweenness’. Mariam has found solace in the works of Egyptian writer Naguib Mahfouz, particularly The Cairo Trilogy of novels, especially in recognising its vivid depiction of life in Cairo. She also loves the poetry of Mahmoud Darwish, a Palestinian poet whose work she regards as “gorgeous”. However, English students are often discouraged from working on literatures in translation apart from those originally written in Latin for the Medieval and Renaissance papers or in Greek for the Tragedy paper. This in large part reflects an institutional bias toward texts regarded as part of the intellectual lineage of the Western canon, a selectiveness that further undermines the work carried out by literary translators. Both Mahfouz and Darwish worked exclusively in Arabic, effectively precluding the possibility of Mariam examining them for her work on the English Tripos. Looking back, Mariam remains mystified at how she was chosen by Trinity at all for both the competition and a place on the English Tripos. Of all the fellows in English in her college, none of them specialise in literature past the Victorian era and the early 1900s. Mariam has remained frustrated in her inability to find supervisors in postcolonial literatures and continues wonder how her Director of Studies – the same person who selected her competition essay – accepted her, knowing full well that she could not work on her areas of interest. Mariam’s desire to go against what is prioritised on the English Tripos and accord minority literatures the academic attention they deserve has often placed her in a position of difficulty, with the responsibility of finding suitable supervisors falling to her. While Trinity’s fellows are knowledgeable regarding their specific literary periods, Mariam remarks that broader ignorance toward postcolonial discourses have led to reductive discussions about narratives of subjugation. Mariam recalls her supervisor addressing the insensitivity in literary criticism comparing The Interesting Narrative of the Life Of Olaudah Equiano, the autobiography of a freed slave, and Jane Austen’s Mansfield Park. Mariam asserts that while Austen’s protagonist Fanny was trapped in a house she did not want to be in and surrounded by people who did not love her, it is disingenuous to argue that a “white woman in a stately home dressed to the nines” suffered in the same ways that a “literal slave” did. There is an insensitivity implicit in directly comparing both situations, one that obscures the complexities, pain, and power dynamics imbedded in European history’s racialised violence and dehumanisation in enslaving people of colour. Experiences such as this have strengthened Mariam’s belief that hiring more BME academics is crucial in bridging this gap between literature and lived experience. “Even if we do decolonise the curriculum, who’s going to teach these texts and put them in perspective? “ Mariam asserts. The largely white literary critics of the 18th century have displayed vast ignorance in analogising the situations of a slave and a white woman in an unfavourable domestic situation, a comparison a BME academic would perhaps not have made. While the intellectual practice of reading and understanding issues of colonialism and slavery are important, she argues that this does not bear the same weight of authority as the lived experience of dealing with its legacies. A BME academic would be able to approach such texts with a marked measure of sensitivity and insight inaccessible to a white academic. Confronted by the limited opportunities to work on postcolonial literature, Mariam remarks, “As much as this literature reflects who I am as a person, it always makes me ask myself, ‘When does it become reductive?’” She notes with some fear that an expectation will develop that BME English students will and should work on BME literatures. Yet, the lack of students working on such literatures in turn indicates to the university that there remains little demand or need for such expertise, creating a pernicious cycle in which postcolonial discourses will remain sidelined by the institution. Mariam recalls a conversation with her sixth form English teacher who worked on American literature on her English course at Oxford and had to be shipped off to UCL because they didn’t have any academics with the right expertise. “She told me to make things easier for myself and work on what’s canonical because otherwise it’s just a pain in the arse.” That this responsibility is shifted from the institution to the individual points to the prevailing structural difficulties posed by the English Tripos. Given the limited number of academics specialising in postcolonial literatures and discourses, Mariam is consistently forced to negotiate between choosing texts and topics that are close to her heart and those that receive more institutional support. Mariam sees these same structural difficulties in the Cambridge theatre scene. An active member, Mariam has been involved in over twenty productions, but laments that, “It’s hard to see a BME person centrestage unless the play is about a BME experience,” Mariam laments, “especially in the main cast of full-scale ADC mainshows.” She attributes this to the fact that the stories that are being programmed by the ADC Theatre overwhelmingly favour white narratives, thereby making it difficult for BME actors to break in. Mariam notes that ADC shows that are classified as ‘BME’ are often explicitly political, portraying BME individuals in the crosshairs of societal oppression and discrimination, or taking place in settings away from the UK. Narratives that feature BME students as ordinary characters living their day-to-day lives as opposed to being supporting characters, are largely absent. While productions strive to reserve certain roles for BME actors, this can seem largely tokenistic. Mariam argues, “You could have someone asking themselves, “Did I get this role because I am BME?” Just as the Tripos demands an epistemological reframing in the way it approaches the study of literature, there remains the belief that the shows programmed by the ADC demand a drastic rethinking as well. “Every student of English became one because they’ve been moved or touched by something they’ve read,” Mariam asserts. As much as the study of English and theatrical performance posture toward an intellectual truth, there remains the necessity of uncovering a modicum of emotional truth as well. As Mariam continues to contend with the inescapable burdens of representation in the academic and dramatic realms, there remains the hope of recovering this emotional truth, the core of all storytelling.